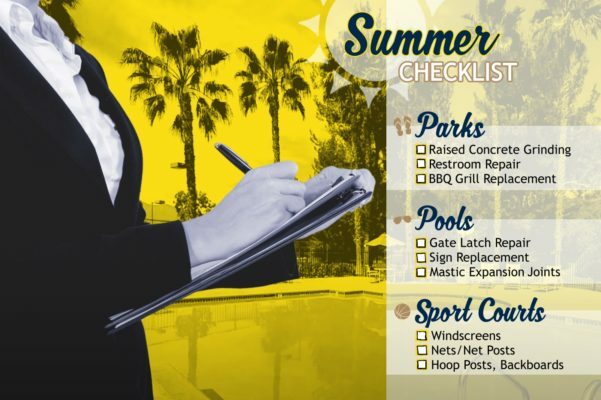 If your property’s parks, pools and sport courts are not ready for the looming seasonal rush – Carasso can help with your maintenance punch lists. Checking these items off now, will help residents (and you) enjoy summertime in its full glory. Contact Bill or Dave today to simplify property maintenance, and get your summer on!